Doris Stahl, here at the Horticulture Center at the Fairmount Park in Philadelphia, built hundreds of urban gardens around the city. Photo by Dan Murphy.After Doris Stahl’s two sons had moved out of the house in 1985, she was looking for a change. As a professionally trained fine artist and educator, she taught art sporadically at community centers and summer park programs while raising her two sons. But now that they were grown, Stahl wanted something more full-time. An avid home gardener, Stahl was drawn to accept a position as a horticulture educator with Penn State Extension. Little did she know the change she’d instill by bringing the Master Gardener Program to Philadelphia and building hundreds of urban gardens during her 26-year tenure. The Master Gardener Program, which was established in Seattle in 1972 to meet the demands for urban horticulture and education, provides extensive training to volunteers who then go on to serve their communities through beautification projects, educational workshops, community garden maintenance, and providing gardening advice and education. Penn State adopted the Master Gardener Program in 1982, and implemented it in Pennsylvania counties where farming was already prevalent. But when Stahl came on board three years later, the Master Gardeners were nonexistent in Philadelphia, a city blighted by 33,000 vacant lots and minimal green space. Stahl designed a curriculum that aimed to wean people off food stamps by learning to garden on vacant lots. 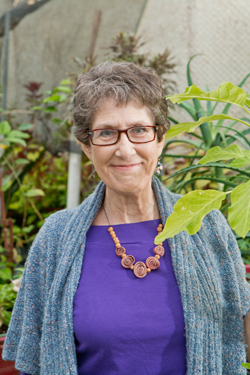 Loretta DeMarco, a Master Gardener who has worked with Stahl through the years, applauds Stahl for her dedication to bring the Master Gardener Program to Philadelphia. The curriculum’s “You are what you eat” segment teaches the power of nutrition to combat hunger. “The right plant for the right place” provides instruction to gain a job in groundskeeping and landscaping. “We were there to say, ‘Let us show you a better way; let us empower you to help your community,’ ” Stahl says. She worked with high school dropouts, recovering drug addicts, convicted criminals and struggling immigrants to help them gain new perspectives on their communities and themselves through gardening. “It’s been such an experience to watch and be a part of a person’s transformation,” she says. “To see someone come from a place of struggle to the realization that, ‘Hey, there may be something more for me.’ I’ve worked with some amazing people who have done wonderful things for their neighborhoods.” Through her work, Stahl has helped establish more than 1,500 community gardens in Philadelphia.